 Learn What Career Opportunities Await Pisces! Starting from the middle of March, you’ll deal with lots of hectic activities and get important tasks. It presupposes that you’ll have to sharpen your skills and gather all your experience. On the other hand, it’s also possible that these activities may make you feel more stressed than usual, so be careful. In 2018, you’ll have the urge to push things forward very often trying to race with the time. Sometimes you’ll become irritated if you feel that things don’t work in the way you expect them to. Do your best to manage such situations successfully and don’t become too upset if you fail sometimes. Which diet will help pisces to hit their dream weight?